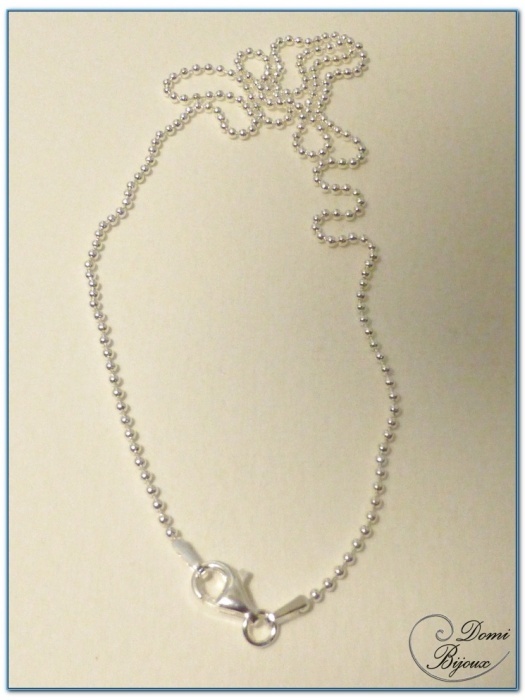 Nice silver necklace made with silver925 little balls 1.5 mm diameter chain and a silver925 clasp. 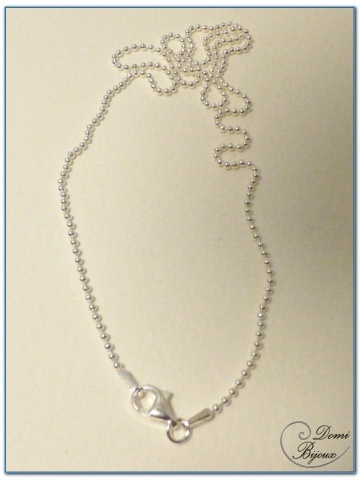 This length of this necklace is 45 cm. 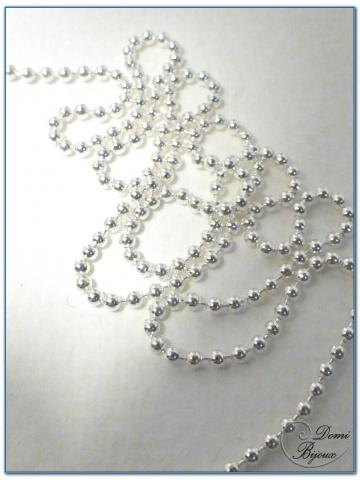 So chic to wear associated with the silver bracelet same pattern, 1.5 mm balls, that you will find in silver bracelets category. The silver925 metal is naturally hypoallergenic. 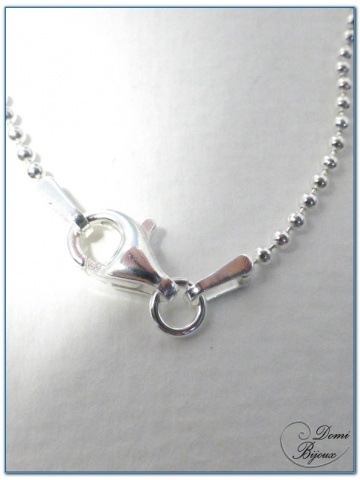 To protect your necklace when you don't wear it, you will receive in a cloth pouc closed by a link.